Recently Remix64 became aware of an exciting development in the world of remixing. It appears that a new c64 remix CD is in the making. 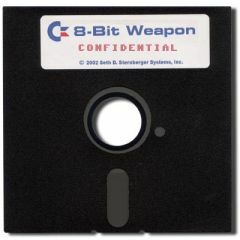 Seth Sternberger has been working on a new Album called "The 8-bit Weapon". The CD is set for a summer 2002 release. A lighthearted look at BIT Live Brighton in the words of the people who were there... by Andrew "If no one covers a Merman tune I'm going to kill someone" Fisher. Warren Pilkington gives his personal account of his experiences at Back in Time Live 2007: where a good time was had by all! Warren Reports on this years BitLite/Retrovision. The Place: DNA Nightclub Birmingham. It was the first time I have visited London, since I was a teenager, so I was not really looking forward to what I thought would be a nightmare journey. I left for London after Michael Owen had put us (England) in the lead. By the time I had got to the train station we were loosing 2 – 1. The result stayed the same and we were out!. Brazil later went on to win the competition beating Germany. Well it's that time again isn't it? When many of us skulking behind our little desktop pc's emerge from the dead. The time where we put faces to names and sids to sidders and lets face it a good excuse for a piss-up of giant proportions (Abso-blumin-lutely as Marcel Donne would say). 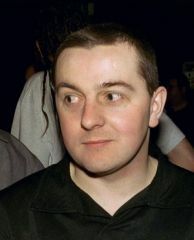 It all started of in the summer of 2001, when Chris Abbott of C64audio.com played host to the first ever c64 remix party. 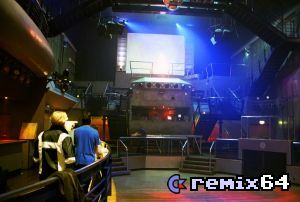 Club DNA in Birmingham was the location. The club was one of the most hi-tech clubs in the north of England and around 250 people flocked to witness the groundbreaking event. A light-hearted review of the products that were on sale at Bitlive 3. With some ratings just for fun!